Ariana Grande was first introduced to the world… because of hockey? On a special Where are they now? We take a look at how the world was introduced to Grammy Award Winner Ariana Grande. 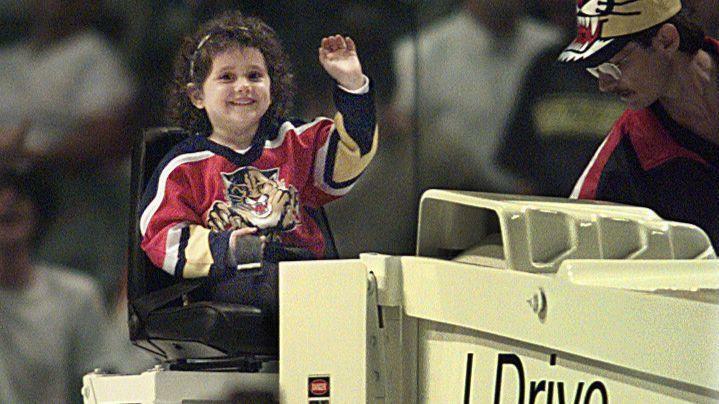 Before she became one of the biggest stars on the planet, the world first learned of Ariana Grande in 1998 as a Florida Panthers fan that made history. Little did they know at the time, she would go on to make music history years later. What happened to Ariana at the game? Listen to find out.